A simple theme with a message of love: someone special is arriving or has arrived. 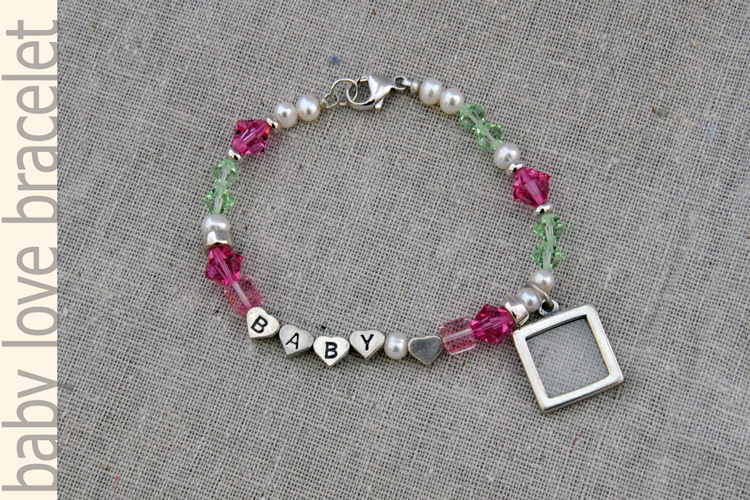 It features a 3/4" silver frame to showcase the sweet new face of the family and fine quality components of Swarovski crystal and freshwater pearl. This will be a piece to treasure long after the little one has grown. Care & cleaning: Beading cord may be kinked or broken through hard jerks or severed through prolonged exposure to rough or sharp edges; store necklace flat when not in use to prevent stretching or kinking cord. Clean with warm soapy water and avoid chemical or abrasive cleaners, and use care not to submerge the photo frame since it is not sealed. Use a soft jewelry polishing cloth to clean tarnish appearing on silver. 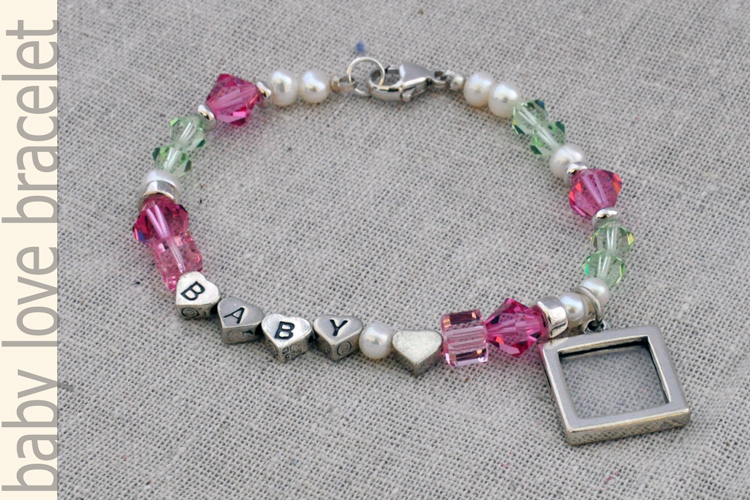 There is irony in recommending that jewelry commemorating babies not be worn around babies, but this bracelet is probably best safely stored until the wee babe is preschool age, or at least old enough not to grab and pull without letting go. The most delicate area is near the clasp; the sterling silver bead tips are simply not strong enough to withstand a baby's determined pull. Also, I recommend using matte photo paper for the image; the plastic coating of glossy paper can stick to the plastic protectors in the photo frame. As with all beaded jewelry: do not let young toddlers chew on it. 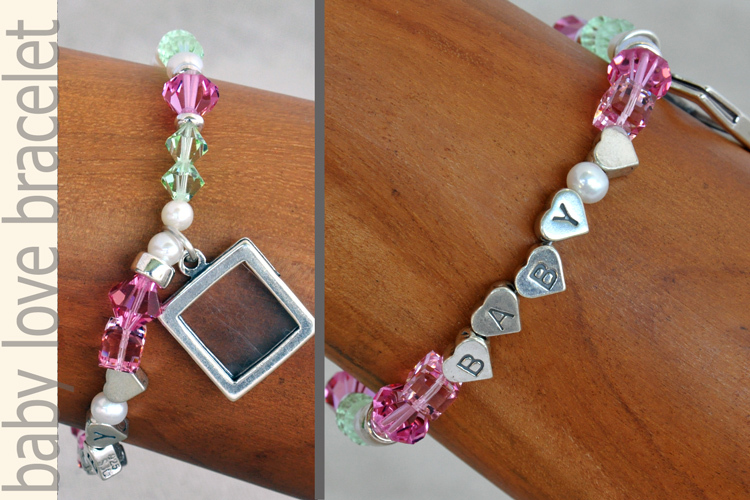 This is a fun bracelet to wear because the weight and balance are terrific.